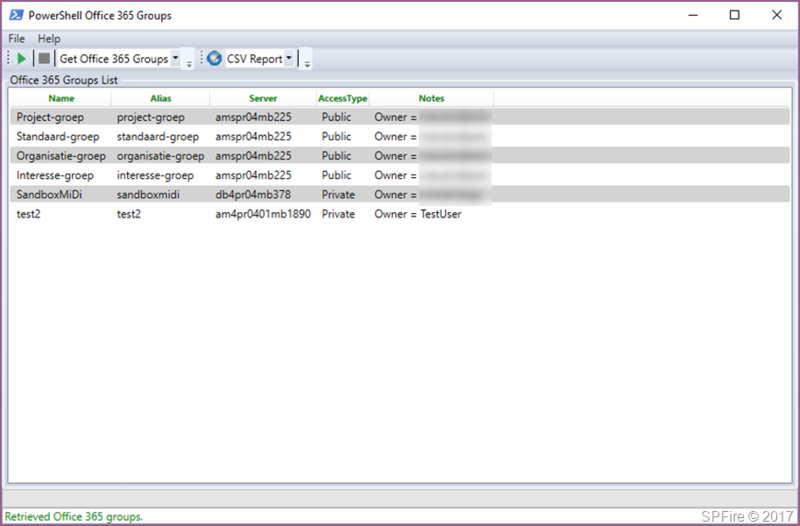 I’ve been looking for a tool to easily manage Windows Updates on servers and found the PoshPAIG tool by Boe Prox at https://learn-powershell.net/ which has been created with PowerShell with a nice GUI. 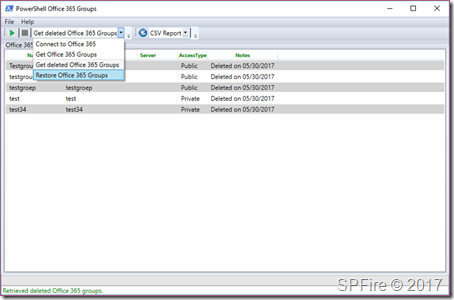 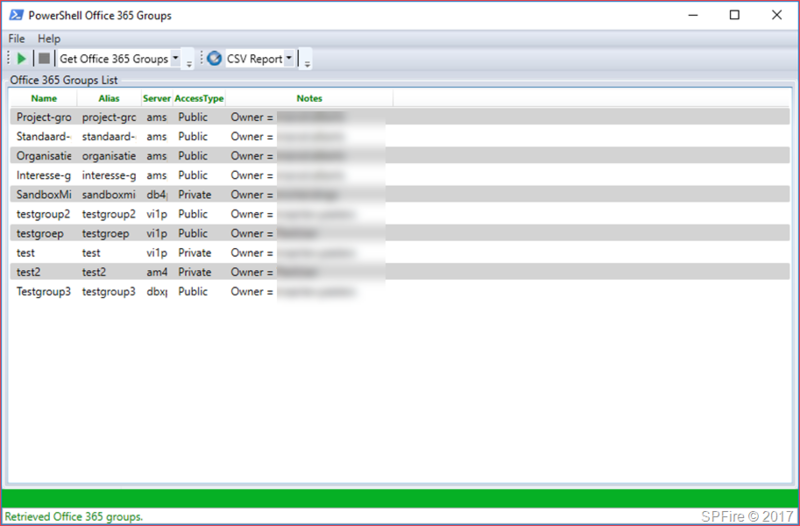 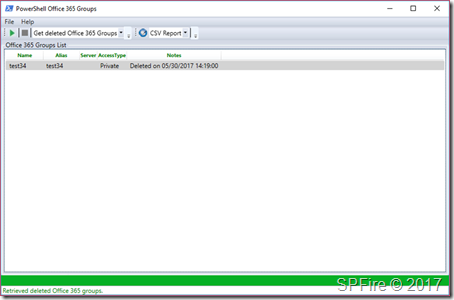 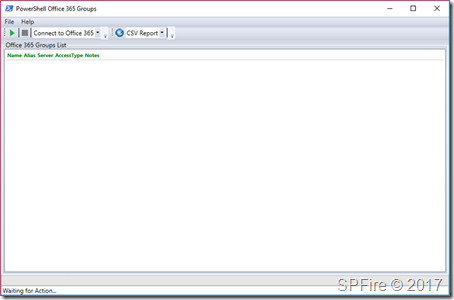 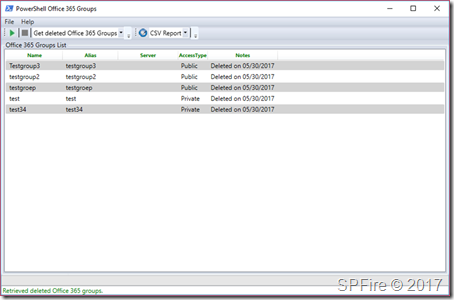 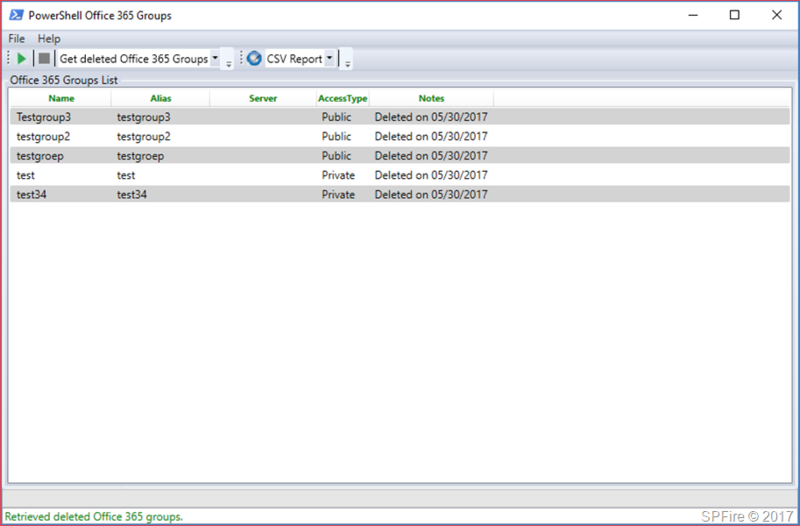 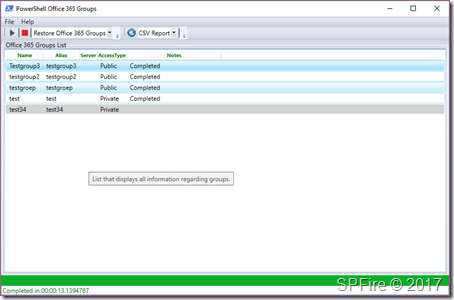 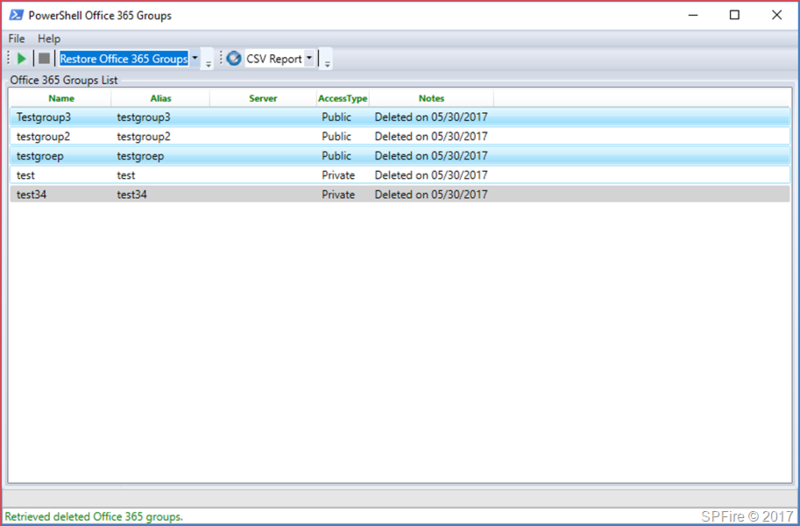 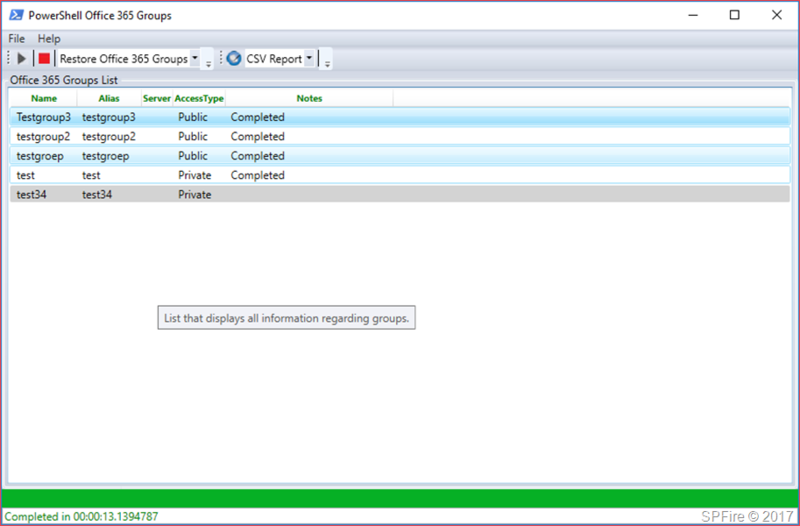 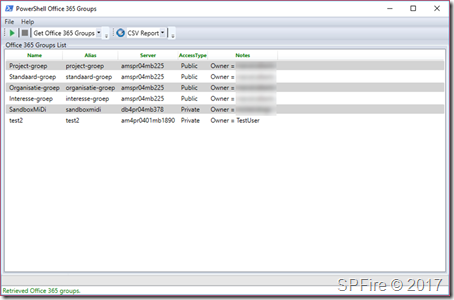 A colleague of mine wanted a Office 365 Groups tool to easily restore Office 365 Groups and this GUI is perfect for this kind of functionality. 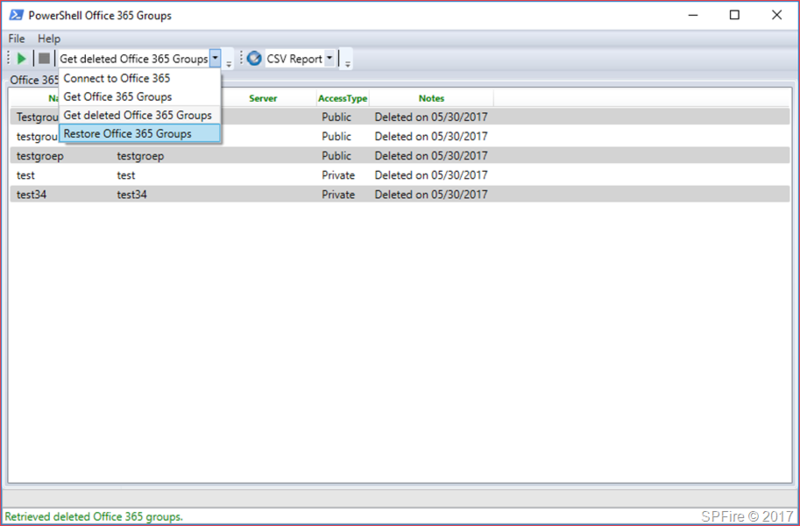 Please let me know in a comment what you think of the tool and if you would like to see some added functionality regarding Office 365 Groups. 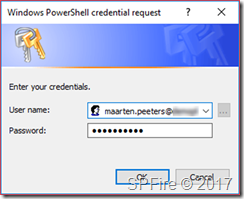 To be able to use this tool you will need to have the new Azure AD preview module which you can download at https://docs.microsoft.com/en-us/powershell/azure/install-adv2?view=azureadps-2.0. 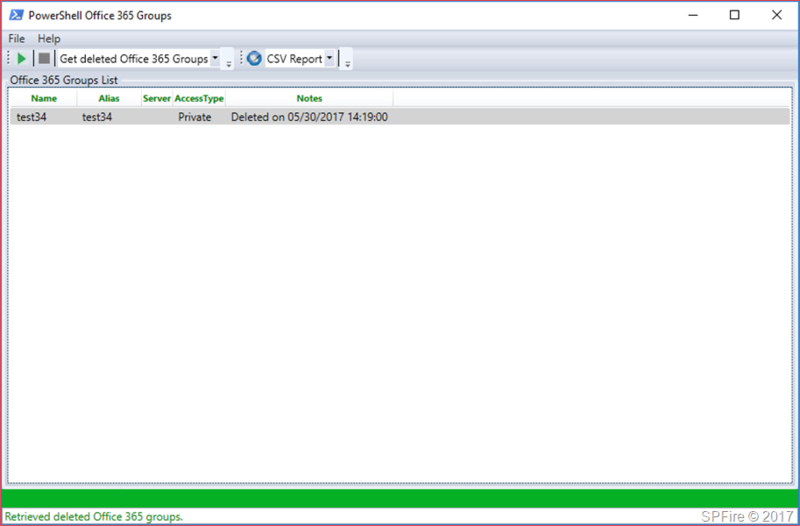 Run ‘Start-Office365GUI.ps1’. 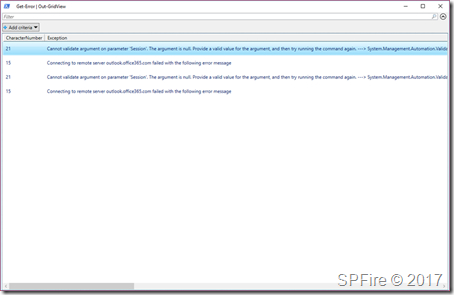 You will automatically be asked to run as administrator if you ran this as a normal user. 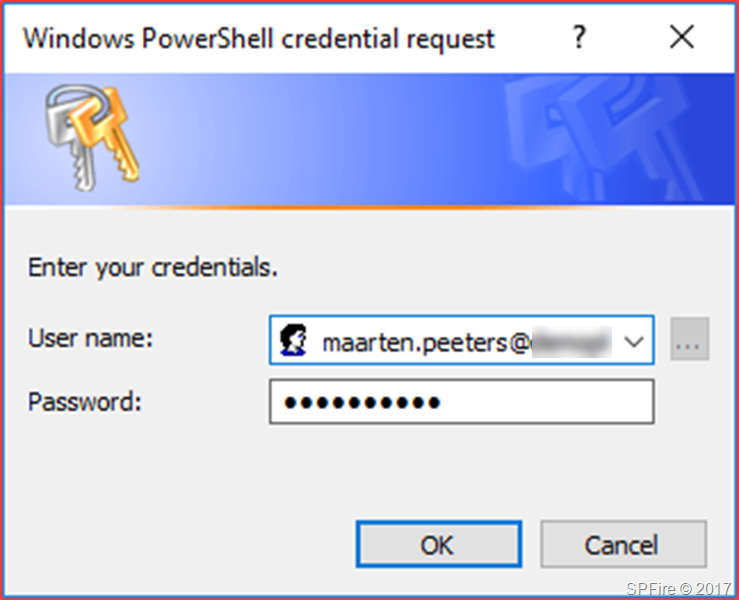 Fill in your credentials and press OK. 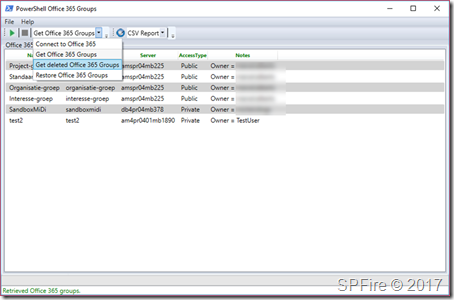 The active Office 365 groups are now listed. 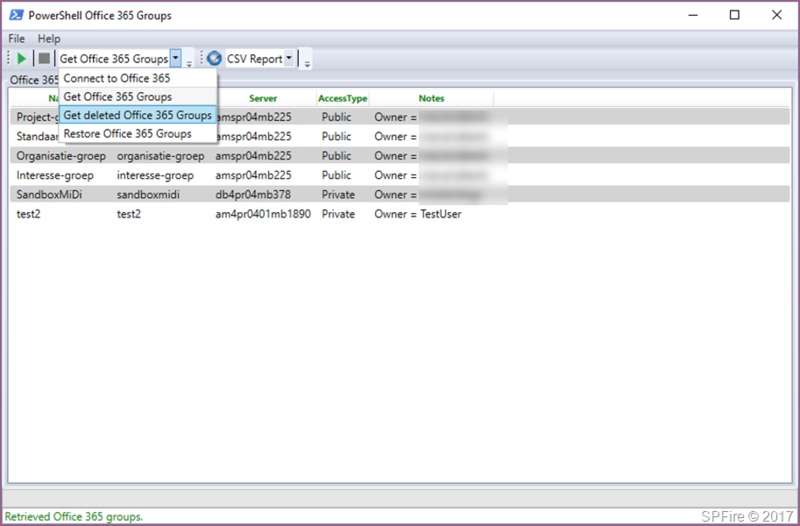 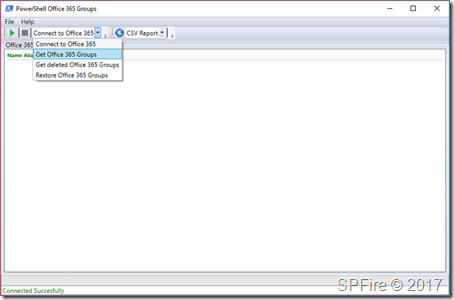 You can now select ‘Restore Office365 Groups’ in the drop down. 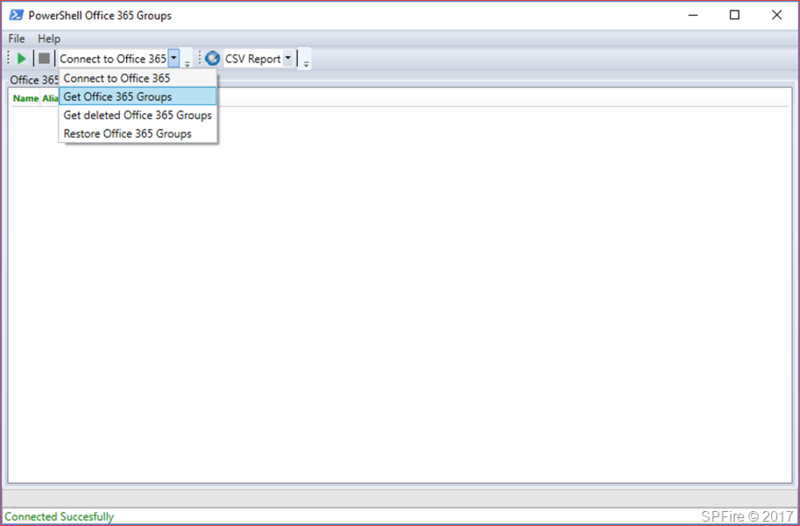 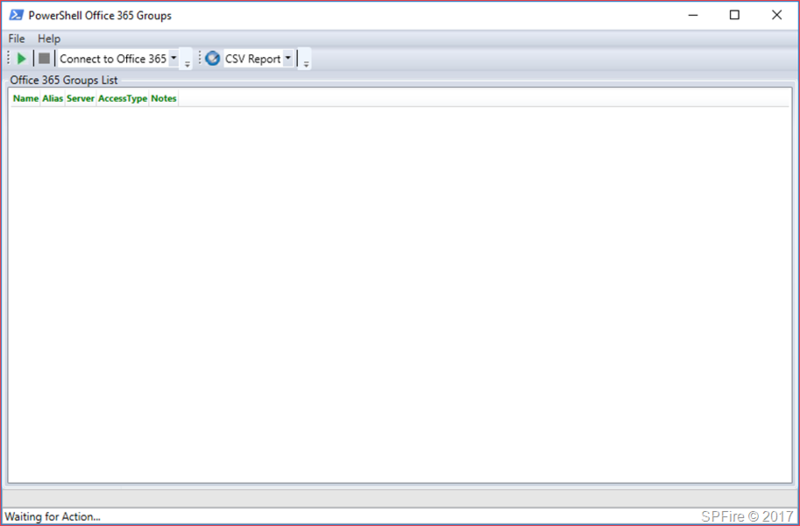 You can create a .CSV or .HTML file based on the items visible at any time in the view by clicking on the button next to the CSV Report. 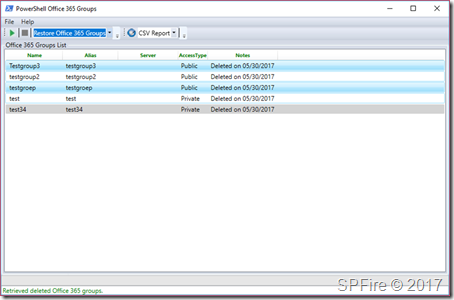 The report will be saved to the report folder located in the script root. 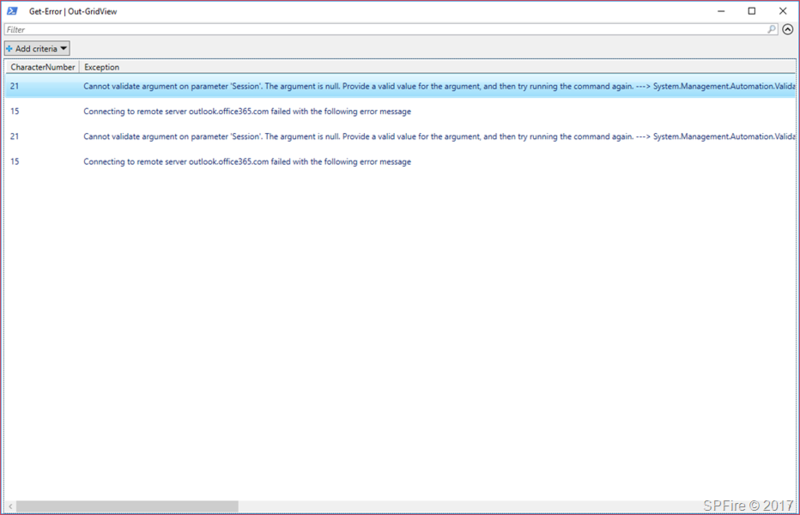 Some error information is displayed on the background PowerShell window as other information is only readable using the errorlog. 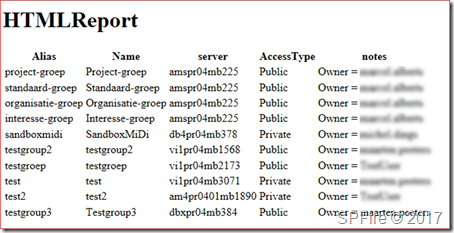 Please send me this information if you encounter an error.